WASHINGTON, D.C. – The past year’s revelations about U.S. spying on Germany have been disastrous for many U.S. businesses. When documents provided by former National Security Agency contractor Edward Snowden showed the agency was monitoring German citizens’ communications, Chancellor Angela Merkel proposed building a Europe-only Internet, which would cut out U.S. Internet firms that cooperated with NSA spying. 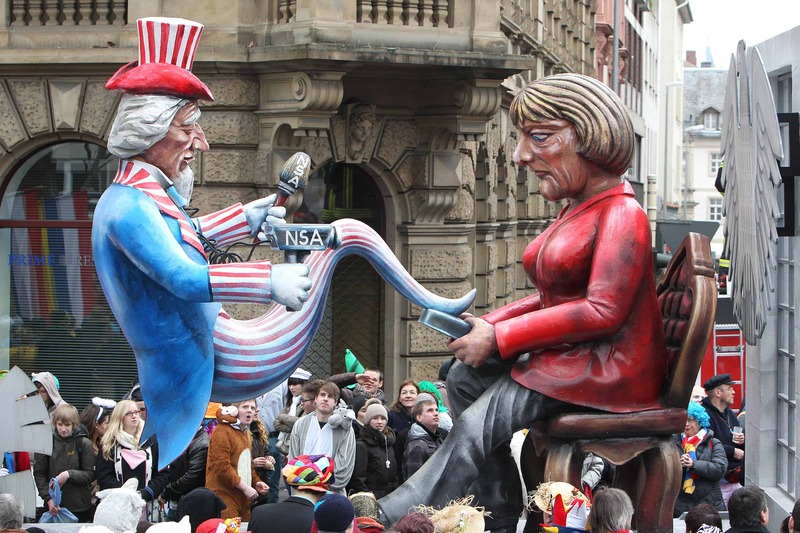 Then came word that the giant intelligence agency was monitoring Merkel’s own cellphone. Berlin responded by canceling a government contract with Verizon Communications, one company that had cooperated with NSA surveillance efforts. The latest news that the CIA was allegedly running a spy inside Germany’s main intelligence agency presumably doesn’t bode well for U.S. companies. But at least one firm that specializes in blocking the same type of spying that has so incensed the German public is seeing a boom in business. Silent Circle, which sells encrypted mobile phone service that shields users’ conversation from eavesdroppers, has seen a surge in sales to German customers since July 4, when Berlin announced the arrest of a 31-year-old intelligence service employee for allegedly passing secret documents to the United States. Sales to individual customers have increased 100 percent in the past week and a half, and sales to “enterprise” clients, which include corporations and government agencies that buy many calling plans at once, are up 70 percent, said Mike Janke, the co-founder and CEO of Silent Circle, which has its primary office in Washington, D.C., and counts U.S. intelligence and security agencies among its customers. Silent Circle’s sudden jump in sales suggests that German citizens, corporations and government agencies are taking steps to keep their conversations away from the prying ears of U.S. intelligence agencies. And, paradoxically, they’re turning to a U.S. firm to help them. The company was founded in 2012 by Janke, a former Navy SEAL, and Phil Zimmermann, who developed Pretty Good Privacy (PGP), one of the first widely available encryption programs to help average Internet users protect their personal information. Silent Circle has customers in more than 130 countries. In the last month, sales to individuals in Germany accounted for 29 percent of all sales in Europe, “which is astounding,” Janke said. And in just the past week, which saw U.S-German relations hit a low point after Berlin kicked out the top U.S. intelligence official in the country to protest spying, Silent Circle’s enterprise sales — which include the German government — surged 28 percent. “That’s a spike” compared to the usual sales patterns, Janke said. Silent Circle can’t be certain that Germans are buying more encrypted phones in response to U.S. spying. But historically, Janke said, whenever stories about government surveillance or data privacy breaches appear in the press, regardless of where they happen, there’s often an uptick in German sales. Among Silent Circle’s customers, Germans are generally “the most privacy-conscious by far,” he said, perhaps owing to the country’s own history with intrusive government surveillance and monitoring of its citizens. The new sales “match up exactly with the revelations” about U.S. spies in Berlin, Janke said, which have been leading news in many German newspapers, magazines, and television programs. Rising concerns about personal privacy aren’t unique to Germany. In April, StrikeForce Technologies, a cybersecurity company, reported a sudden 84 percent jump in first-quarter sales for products that encrypt data on computers, as stories about spying and data breaches at large retailers, such as Target, dominated the news. And last month, Google — which was identified in documents released by Snowden as both participating in NSA spying and as a target of the agency — reported that 65 percent of Gmail messages were being encrypted while they were delivered, up from 39 percent in December. Google, Yahoo and Facebook all reported that the volume of encrypted email is rising, as companies and consumers try to protect their information from government spies. Comcast, a major Internet service provider, has announced that it plans to encrypt email, and Microsoft is putting stronger encryption in place for its web-based email service. Across Berlin, there is a growing chorus, including in Merkel’s own party, to stop negotiations with the United States over the Transatlantic Trade and Investment Partnership (TTIP). 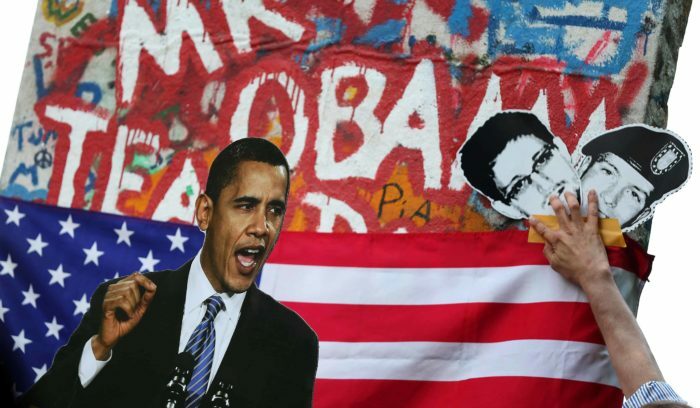 The fact that even moderate voices in Germany feel the spying scandal justifies such an extreme response “is really worrisome,” Annette Heuser, the executive director of the Bertelsmann Foundation, said in a conference call organized by the Atlantic Council. Any hope that the deal could be finalized by the end of 2016, before President Barack Obama leaves office, has been dashed, she said.